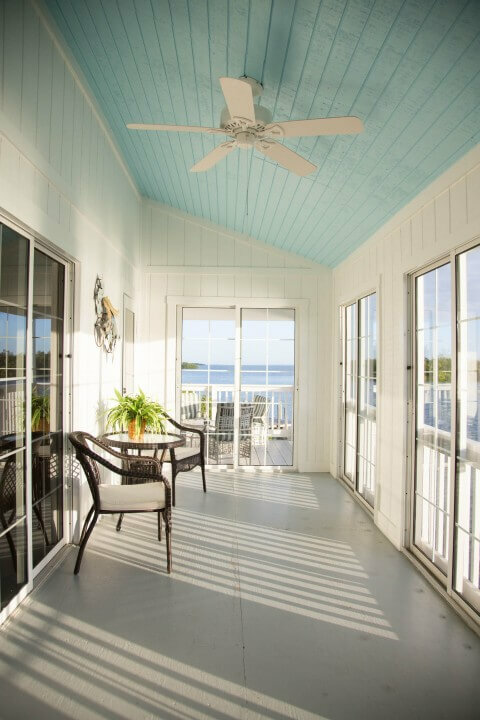 The Harborview Cottage was restored after “Hurricane Charley” tore through southwest Florida in 2004. 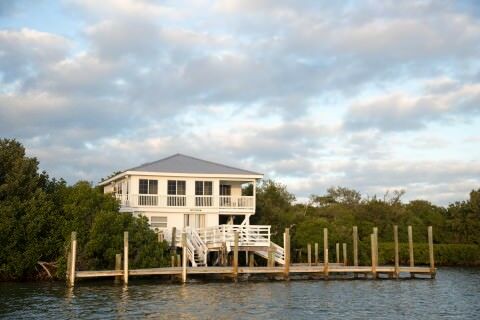 This spacious two story stilt cottage remains one of Cabbage Key’s largest cottages. 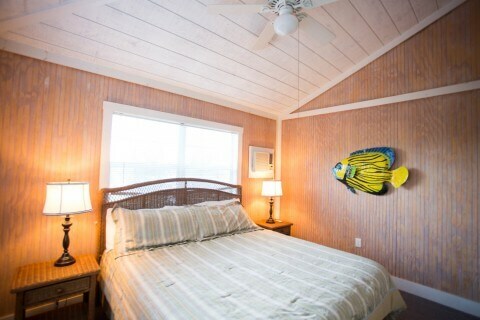 The Harborview is a three bedroom three bathroom air conditioned cottage. 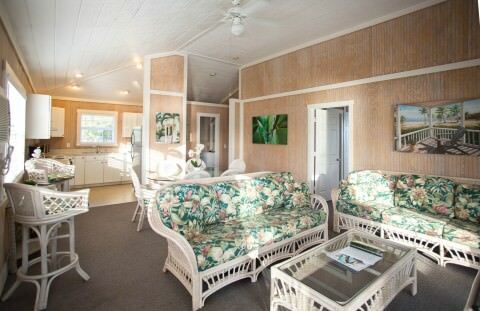 The main living area, located on the 2nd floor, consists of a full kitchen, living room, two bedrooms – one with a king-sized bed and one with a queen-sized bed and two full bathrooms. 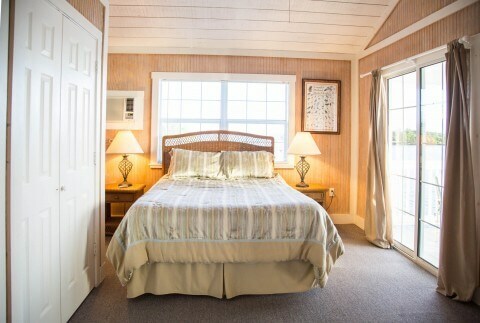 The downstairs, located on the 1st floor, has a bedroom with two twin beds along with two additional twin beds in an open room in the lower level. These four twin beds share the lower bathroom. 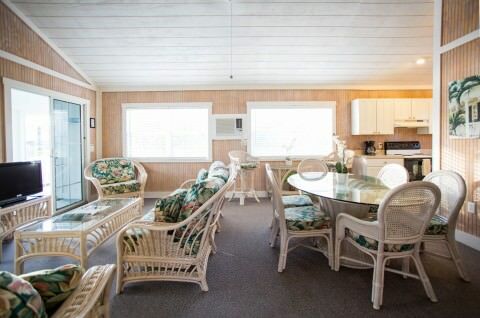 Harborview has basic TV, fully equipped and furnished kitchen situated on the water with sliding doors leading to porches and amazing views of the Pine Island Sound. 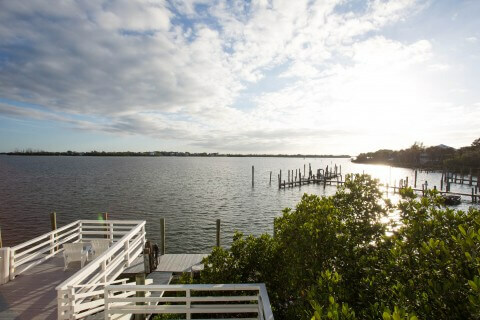 This house has a private dock. 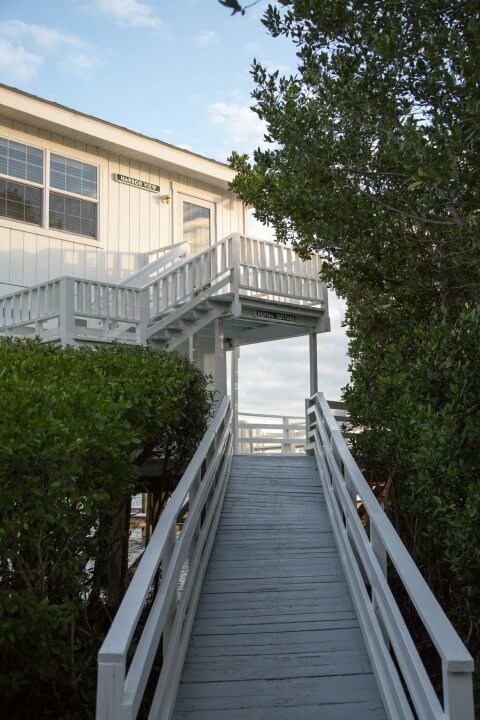 FYI – To go from the 1st floor to the 2nd floor – you need to go outside and go up a flight of stairs. This unit in not recommended for families with small children.